Baby girl is obsessed with PJ Masks, the title music has her jumping around the room! 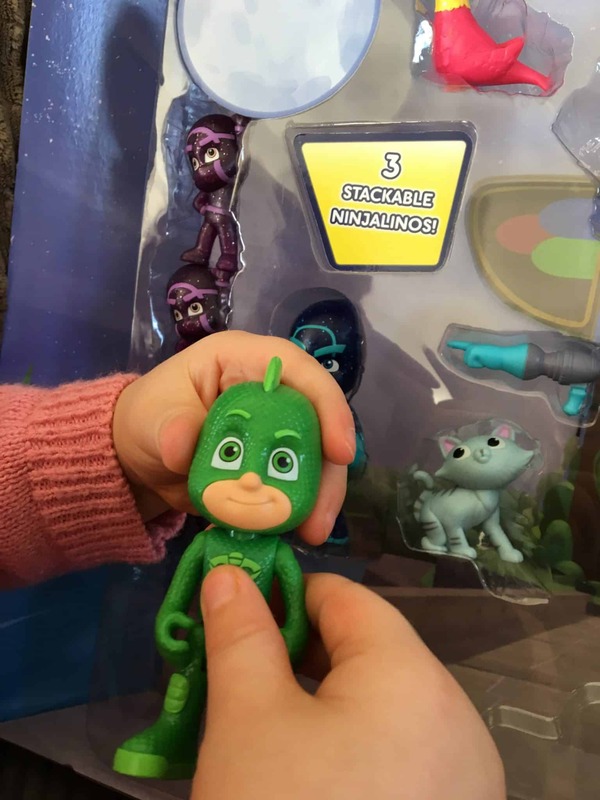 I was over the moon when we were asked to have a peek at the PJ Masks Deluxe 16 Figure Pack Playset brand new for Autumn 2017. PJ Masks is a hit preschool series, I do have a tendency to watch it myself on occasion and find myself humming along to the theme tune. 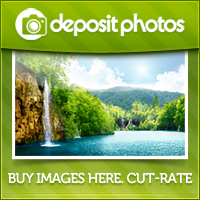 Full of action, good versus evil, music, singing and much more. On the back of the box it gives you the names of all the characters. Also included in this deluxe figure set are pet friend figures and accessories for the villains. With these extras your child will sure to have the full on PJ Masks ultimate play experience and able to re-enact their favourite scenes from the show. The accessories include Romeo’s Squashatron, Luna Girl’s Luna Orb, and Night Ninja’s Sticky Splat. The figures stand at 7.5 cm tall with posable arms and legs to help promote imaginative play. 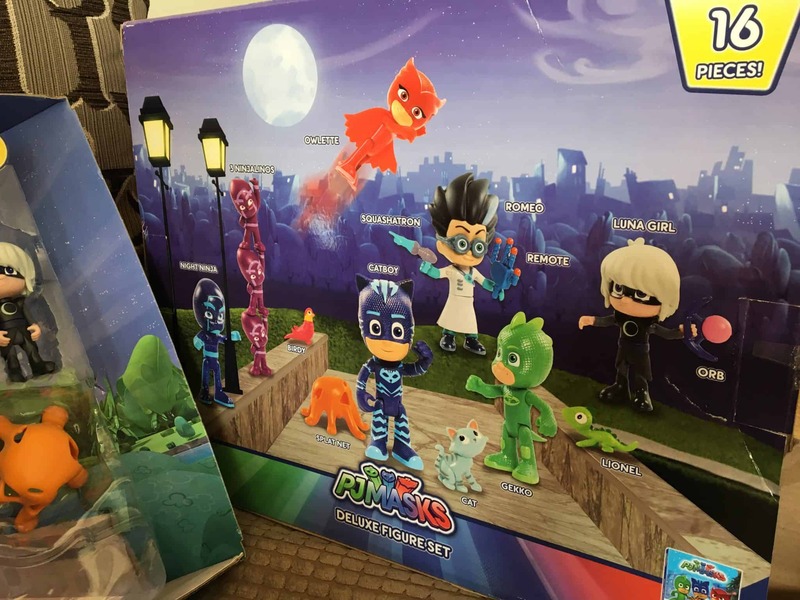 I think the set is fantastic for all PJ Masks fans, the figures are well designed with perfect detail. Hours of play to be had with all the bits included. 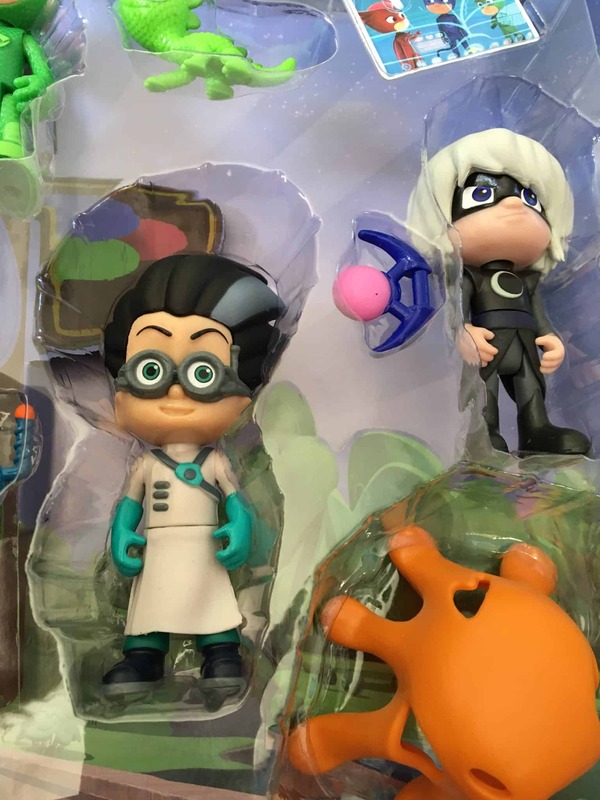 The complete collection includes playset, figures, blind bag collectible, dress up and soft toy items, and this deluxe figure pack is only a part of the PJ Masks master toy collection from Just Play. 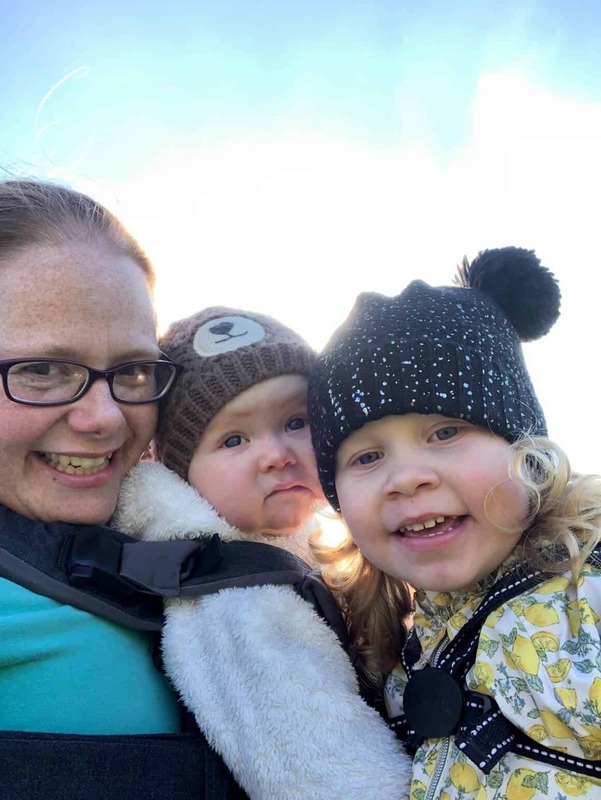 Baby girl’s favourite character is Owlette, we love her soft cape! The price of the PJ Masks Deluxe 16 Figure Pack Playset is £34.99. 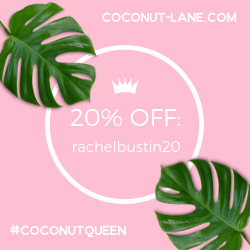 If I’m honest this is a little steep, but they are great quality pieces. The recommended age range is 3+ due to small parts which could be a choking hazard. 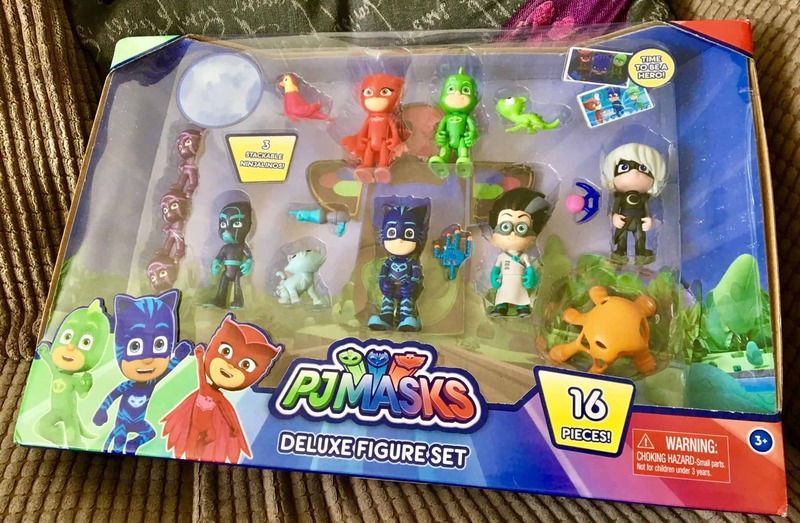 The PJ Masks Deluxe 16 Figure Pack Playset is available from Smyths Toys. You can take a quick peek of our little video we made below. 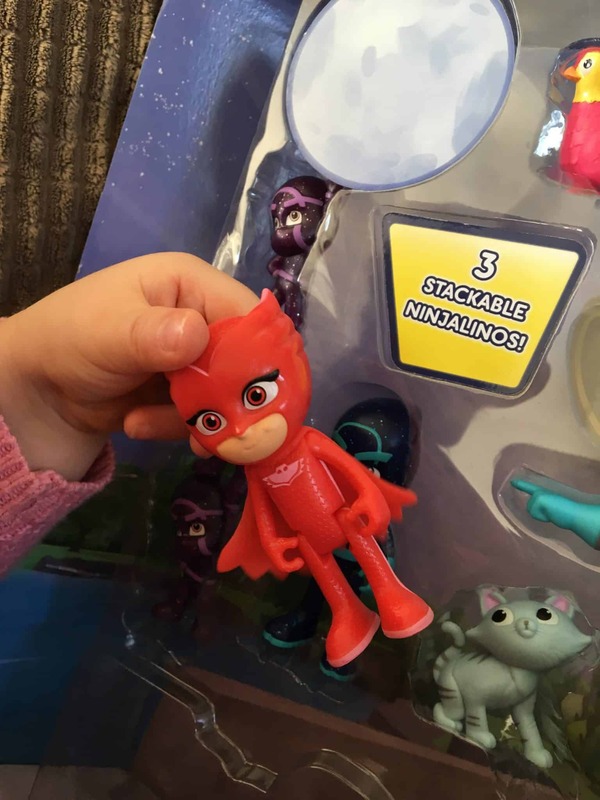 *We were sent the PJ Masks Deluxe 16 Figure Pack to review in exchange for this post. All thoughts and opinions are our own.